Top and bottom heating elements for applications that require the sealing of thick bags. 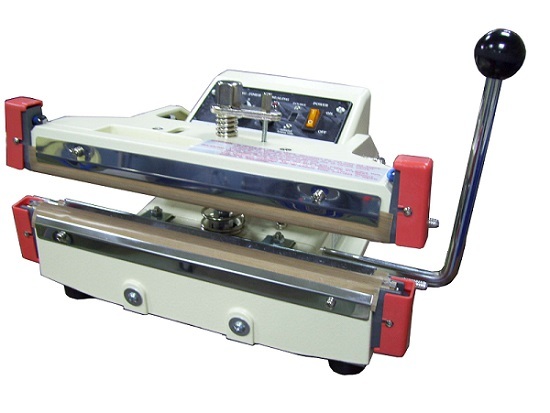 This heavy-duty hand operated unit can seal up to 0.5mm density material. Excellent for plastic lined, foil and gusset bags. Heavy duty hand operated 10 mm wide double seal. Heavy duty transformer for heavy-duty production.